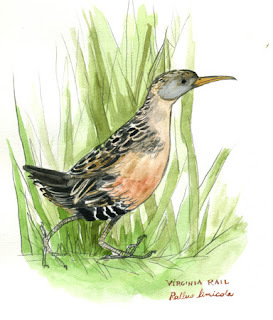 Rails are shy, secretive birds that prefer wetland habitat. They are laterally compressed, and can hold their feathers tightly against their bodies. This allows the bird to slip through very narrow spaces.